Andrew is a partner with Fasken Martineau. He has a broad corporate commercial practice focusing on outsourcing and technology related transactions. Andrew also practices private M&A, provides strategic counsel on drafting and negotiating a wide range of technology related agreements, and advises on online gambling matters. Andrew is a director of Can Tech, the leading Canadian association of IT law practitioners; is past chair of the Toronto Computer Lawyers Group; and is recognized for his information technology expertise by The Best Lawyers in Canada, the Canadian and Legal Lexpert Directory, and Who's Who Legal (Canada). 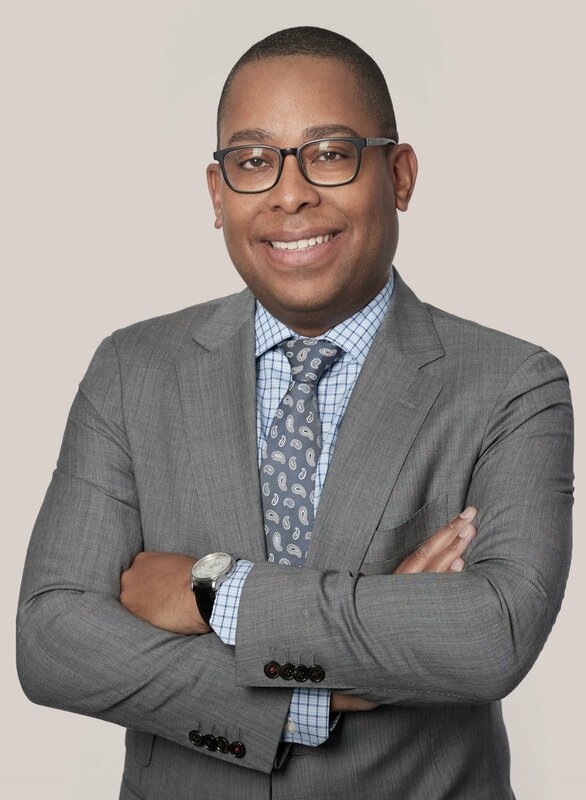 Andrew is also actively involved in various non-profit boards and in the community, including serving on the board of For Youth Initiative and as a past president of the Canadian Association of Black Lawyers and also the CABL board for 11 years. Hafeez Amarshi is a Federal Crown Prosecutor and has been certified as a specialist in criminal law by the Law Society of Upper Canada. He is the litigation supervisor for articling students completing rotations at the Ontario Court of Justice and a trial mentor for newly appointed Crown Counsel. He is a member of the Executive of The Advocates’ Society’s Criminal Law Practice Group. Prior to joining the Public Prosecution Service of Canada, Hafeez was a Criminal Defence Lawyer with a varied criminal and regulatory law practice. He also previously worked for the United Nations’ Department of Peacekeeping Operations in Central Asia. Hafeez is the Chair of Advocacy and sits on the Board of Directors of the South Asian Bar Association and is an active member of the Canadian Muslim Lawyers Association. In 2012 Hafeez was a recipient of the Queen’s Diamond Jubilee Medal recognizing contributions to Canadian citizenship and public service. May is a Certified Specialist in Intellectual Property Law (Trademark/Copyright), and a partner in the Intellectual Property Group at Hoskin & Harcourt LLP. She has more than 20 years of experience in advising clients on all aspects of intellectual property protection and enforcement, including branding strategy, licensing and anti-counterfeiting. She is regularly involved in injunctive proceedings and appeals to the Federal Court of Canada in trade-mark disputes and infringement cases. May's litigation experience also includes patent infringement litigation involving telecommunications and nuclear technology, trade secret and copyright infringement litigation, in both Federal and Provincial courts. She has expertise in the execution and enforcement of Anton Piller Orders to seize counterfeit goods bearing famous luxury brands and consumer goods. She also has considerable experience in on-line arbitration of domain name disputes. Bindu Cudjoe is Vice President, Deputy General Counsel - T&O Legal and Chief Knowledge Officer of the legal, compliance and security groups at BMO Financial Group (BMO). She is be accountable for managing legal and regulatory risk relating to technology, procurement, outsourcing, intellectual property and enterprise brand, marketing and social media. Additionally, she is responsible for knowledge management, including board and senior management reporting, project management, records and information management, centralized litigation support (e-discovery and legal holds), internal knowledge-sharing systems, and internal professional development programs. Bindu was most recently Deputy General Counsel & Chief Administrative Officer, accountable for the groups’ operations including human resources, real estate, financial performance, strategic initiatives and the outside counsel management programs. Bindu started at BMO as Senior Counsel in the Canadian Personal & Commercial legal team and then lead the BMO Capital Markets Corporate Banking legal team. Prior to joining BMO in 2012, she was a partner in McMillan LLP's Financial Services group and is an adjunct professor at Osgoode Hall law school at York University. Bindu is active in her local community as a director and secretary of the Oakville Community Foundation and is involved in the school council of Emily Carr Public School (where her 3 kids attend) where she was chair from 2012-2016. She is also active in the legal community as a director of the South Asian Bar Association of Toronto and an executive member of Women General Counsel Canada. Bindu is a frequent speaker, panelist and writer on topics of innovation, diversity & inclusion and women in the legal profession. Bindu was recognized in 2016 as one of the 25 most influential lawyers in Canada by Canadian Lawyer Magazine and was a 2014 recipient of the Lexpert Magazine Rising Star award and the South Asian Bar Association of Toronto’s 2014 Legal Excellence Award. Fernando Garcia is the General Counsel for Nissan Canada Inc. Fernando recently received an MBA from Wilfrid Laurier University, with a specialization in Strategic Management. He also obtained both civil and common law degrees from McGill University, a Master of Industrial Relations from the University of Toronto and a Bachelors of Arts degree in Labour Studies from McMaster University. Fernando is also very involved with his Latin American community and in advancing diversity and inclusiveness within the legal profession. As a result of his career and community work, he was awarded a 2016 Zenith Award for Diversity and Inclusion and he was named as one of the "10 most influential Hispanic Canadians" by Canadian Hispanic Business on July 2015. He was also a recipient of the “Tomorrow’s Leader” award at the Canadian General Counsel Awards (June 1, 2015) and named by Women of Influence Magazine as one of the 2011 and 2012 Canadian Diversity Champions. Lai-King Hum is the Principal and Senior Lawyer at Hum Law Firm. After working in “big law” in Montreal and Toronto, in 2014, Lai founded a boutique firm focusing on employment / labour law, human rights, and litigation. She also conducts workplace investigations and mediations, particularly with allegations of harassment. Called in both Ontario and Quebec, she provides advice to businesses, not-for-profits, and individuals, including corporate clients in education, healthcare, manufacturing, and financial / banking services. In January 2017, she was appointed Deputy Judge, SCJ, Small Claims, sitting part-time in Toronto. She is also a Discrimination & Harassment Counsel at the Law Society of Ontario’s Discrimination & Harassment Program. Active with the Federation of Asian Canadian Lawyers, Lai was inaugural President, FACL National, and a FACL Ontario past-President. She is the immediate past Chair, Roundtable of Diversity Associations, and an executive at the Solo, Small Firm, General Practice sections, CBA. Lai works in both official languages, and speaks some Mandarin. Ms. Huggins is a Partner at Koskie Minsky LLP and the head of the firm’s Employment Law Group. She has expertise in employment law, human rights law, and commercial litigation. In the employment law area, Ms. Huggins acts on behalf of both employers and employees. Ms. Huggins is sought to provide opinions and to litigate all types of employment-related disputes at various court levels, including the Ontario Superior Court of Justice, the Divisional Court, the Court of Appeal and administrative tribunals. She has extensive experience drafting and negotiating complex employment contracts and related documents, including non-solicitation and non-competition agreements and shareholder agreements for employers and executives. She also represents both employer and employees in disability claims and in the area of human rights. She is also experienced in investigating workplace harassment allegations and related matters. Ms. Huggins’ commercial, commercial leasing, mortgage and real estate litigation practice, with a particular emphasis on beneficial ownership interests, includes both the resolution of disputes, as well as litigating at various court levels, including the Ontario Superior Court of Justice, the Divisional Court, the Court of Appeal and administrative tribunals. Ms. Huggins has been a speaker for the Ontario Bar Association and Law Society of Upper Canada, including presenting at a variety of seminars on employment law, human rights and other civil matters. She has authored various topical articles and papers in her areas of expertise. As a Black Canadian woman, Ms. Huggins won a 2016 Lexpert Zenith Award: Celebrating Diversity and Inclusion for her work as a founding Board Member and a former President of the Canadian Association of Black Lawyers (CABL) and a former Chair of both the Canadian Bar Association Standing Committee on Equity and the Ontario Bar Association Equal Opportunity Committee (for which she won an OBA Linda Adlam Manning Award for Volunteerism). Ms. Huggins was also on the founding Board of the African Canadian Legal Clinic. She currently serves on the Doctors Without Borders Human Resources Committee and the Judicial Advisory Committee for federal court appointments for the GTA. Jolie Lin is Vice President, Deputy General Counsel - Canadian Personal and Commercial Banking, and Assistant Corporate Secretary at BMO Financial Group. Jolie is accountable for managing legal and regulatory risk for the Canadian P&C banking business, as well as Corporate Finance Division, Treasury and Payment Solutions, and SAMU (Special Accounts Management Unit) lines of businesses in Canada. Jolie was most recently Vice President, Deputy General Counsel – Technology and Operations, and Chief Knowledge Officer, accountable for managing legal and regulatory risk relating to technology, procurement, outsourcing, intellectual property and enterprise brand, marketing and social media. She was also responsible for knowledge management for the Legal, Corporate and Compliance Group, including board and senior management reporting, project management, records and information management, centralized litigation support (e-discovery and legal holds), internal knowledge-sharing systems, and internal professional development programs. Prior to joining BMO in 2009, Jolie was a partner at Osler, Hoskin & Harcourt LLP, where she represented a diversified group of institutional lenders, banks, real estate investment trusts, pension funds, and large corporate borrowers. Jolie received her Bachelor of Law degree from Osgoode Hall Law School. Jolie is a frequent speaker on topics of innovation, knowledge management and productivity, diversity and inclusion, and professional development in the legal profession. She led BMO’s Knowledge Management team in winning ILTA’s (International Legal Technology Association) Innovative Law Department of the Year award in 2013. She is a board member of Canada’s National Ballet School, and a member of Women General Counsel Canada. In January 2014, Shawn joined Lenkinski Law as an associate. He is building a family, estates and civil litigation practice. Shawn has successfully represented clients in the Ontario Superior Court and the Ontario Court of Justice on various commercial and family law matters. Shawn also has recent publications in family law, including The Value of Date of Marriage Debt: Zavarella v. Zavarella, 2013 ONCA 720 and 34 Days, Two Experts and an Overnight: a Critique of M v F, 2013 ONSC 6089 and M. v. F., 2015 ONCA 277. His areas of practice include family, estates and civil litigation. Shawn is a graduate of the University of Toronto, where he teaches Trial Advocacy at the Faculty of Law. In 2013, Shawn acted as co-counsel for the Elliot Lake Mall Action Committee (ELMAC) at the Elliot Lake Inquiry. Before the Inquiry, Shawn practiced for several years at a civil litigation boutique in the areas of tort litigation (including medical malpractice, professional negligence and personal injury), employment litigation and commercial litigation. He articled and practiced at a different civil litigation boutique, where he worked on medical malpractice actions, professional disciplinary matters, and complex commercial disputes. Awanish (Awi) Sinha is a partner in the Litigation Group at McCarthy Tetrault LLP in Toronto. He acts for corporations on the cutting edge of major public/private projects. His work in infrastructure, energy and public policy contexts demonstrates a new model of litigator. Awi is a trusted advisor during project development and an innovative advocate in project disputes. He has significant experience advising clients on risk management processes both to avoid and to be prepared for unavoidable litigation. Awi represents the Ontario Lottery and Gaming Corporation (OLG) in complex commercial litigation involving a variety of stakeholders related to OLG’s modernization of gaming project throughout Ontario. He provides risk management, procurement advice, and litigation representation for disputes and project development issues in significant P3 and private energy projects. His clients include Infrastructure Ontario, Enbridge Pipelines, and various hospital and university clients. Donna Walwyn heads the Pension and Employee Benefits Practice Group in Toronto. She has a wide range of experience in private practice and, prior to becoming a lawyer, worked for Ontario's pension regulator. She also practiced pension and benefits law exclusively with a leading boutique firm in Toronto before joining Baker McKenzie. Ms. Walwyn is the President of the Canadian Association of Black Lawyers, and a member of the Ontario Bar Association (Pension and Benefits Section), the Canadian Pension & Benefits Institute, the National Association of Stock Plan Professionals and the National Bar Association. Ms. Walwyn advises corporations, boards of trustees, plan administrators and internal pension and benefits committees on all areas of pension and employee benefits law. These include plan and fund governance, regulatory compliance, retirement fund investment, fiduciary duties and obligations, executive compensation, health and welfare plan administration and pension and employee benefit issues in the general employment law and unionized context. She also provides pension specialist support in litigation and insolvency matters. Hilda Wong is the Vice President and General Counsel for First National Financial LP and oversees all aspects of First National’s legal affairs including formation of legal policy, compliance and regulatory matters, governance, contract negotiation and documentation and is responsible for First National’s privacy and anti-money laundering programs. Ms. Wong joined First National in 2007 as Senior Legal Counsel and was appointed General Counsel in January, 2013 and Vice President in April, 2014. Prior to joining First National, Ms. Wong was a partner with the national law firm of Gowling Lafleur Henderson LLP. Ms. Wong has extensive experience in all aspects of financing, syndicated lending and real estate. Ms. Wong holds a Bachelor of Laws from the University of Toronto and has been in practice since 1993. Brendan Wong is a partner of the Commercial Litigation Group at Borden Ladner Gervais LLP. Brendan's commercial litigation practice focuses on shareholder and partnership litigation, banking litigation (including insolvency litigation), fraud and injunction litigation, cross-border litigation and competition law. He is fluent in English and conversational in French. Brendan has appeared before the Ontario Court of Appeal, Ontario Divisional Court, Superior Court of Justice, Federal Court (Trial Division), Federal Court of Appeal and the Barbados Supreme Court. Brendan has also appeared before numerous tribunals and arbitrators. Brendan is a former Director and Chair of Access Alliance Multicultural Health and Community Services, and the current President of the Federation of Asian Canadian Lawyers (Ontario). He is also a member of the Ontario Bar Association and The Advocates’ Society.